Born in Hillerød 1974, Denmark is a curator and cultural studies theoretician (Master in Communication and Cultural Studies Roskilde University, Copenhagen University and Humboldt University of Berlin). She also completed the De Appel Curatorial Training Program in Amsterdam, 2003. 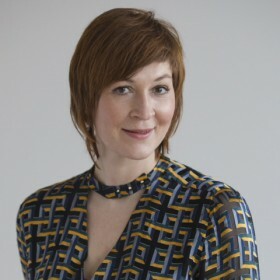 From 2003 to 2004 she worked as curatorial assistant at BAK – basis voor actuele kunst, Utrecht. From 2004 to 2006 she was curator at the Kunsthalle Friedericianum, Curator Workshop, Kassel, Germany. She has curated a number of exhibitions internationally including the 6th Werkleitz Biennial, „Happy Believers“, Halle (2006), the first Copenhagen Quadrennial: „U-TURN Quadrennial for Contemporary Art“, Denmark (2008), 4. Fotofestival Mannheim, Heidelberg, Ludwigshafen „The Eye is a Lonely Hunter“, 2011, and the group exhibitions „Die Welt als Bühne“ at the Neuer Berliner Kunstverein, Berlin (2009–2010), „Never odd or even“ at Grimmuseum, Berlin (2011) and „Either/Or“ at Haus am Waldsee, Berlin 2013. She is currently the also the Artistic Director of GROSSES TREFFEN at the Nordic Embassies as well as curating the year long art project „An Age of our Own Making“ in 2016 – a series of exhibitions with artists from East- and Westafrica, Asia and the Middle-east, Images 2016 in Holbæk, Roskilde und Copenhagen. Ovesen lives and works in Berlin and Copenhagen. She works together with Bonaventure Soh Bejeng Ndikung as chief of Galerie Wedding, Berlin.